Adspree media (formerly SevenGames Network) is a leading online marketing platform dedicated to driving successful marketing and user acquisition for games publishers. We are passionate about gaming and believe in the power of quality and marketing innovations. It is our mission to help our partner turn great games into a commercial success story. We are looking forward to your application in German or English. Please use the button below to apply for the position and include your desired start date and salary expectations. 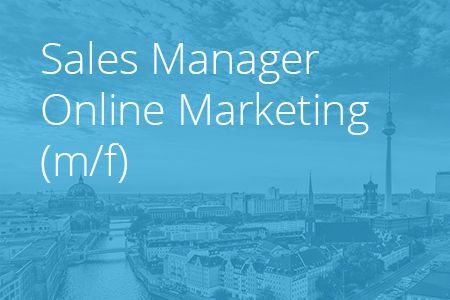 We are looking for a strong sales and business development individual who takes ownership of a growing business and further strengthens our team – the role includes both new client development as well as reactivation of existing clients and upselling new products.